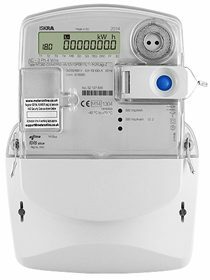 Three phase smart electricity meter, based on GSM/GPRS/UMTS communication provides the most reliable data transmission in smart residential and mid-size commercial environments. The specific model of this meter is MT382-D2. This meter supports direct-wiring only and is not compatible with CTs.